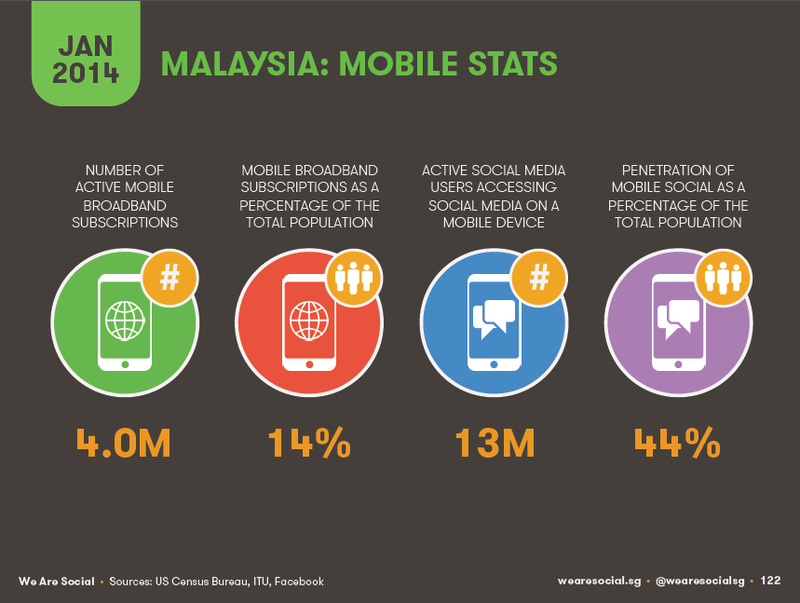 Mobile penetration in Malaysia is higher than Indonesia, United States and world's average. 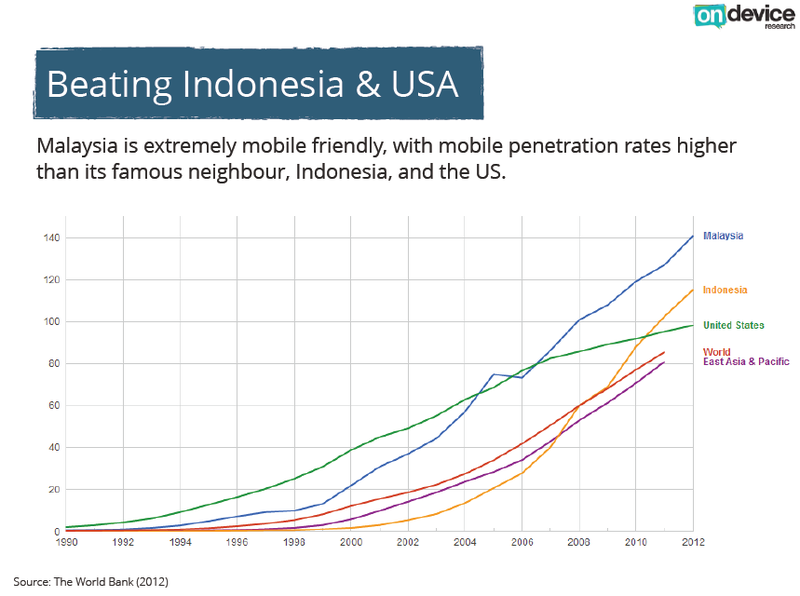 However according to UBS research, Malaysia only rank #4 in Southeast Asia in terms of mobile penetration, behind Singapore, Vietnam and guess what, Cambodia! 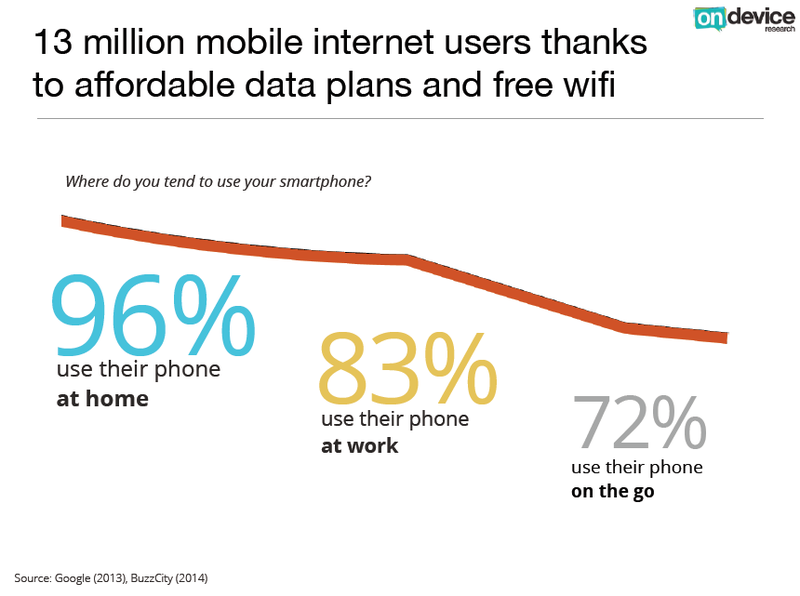 The remaining of 23% of mobile subscriptions are post-paid. 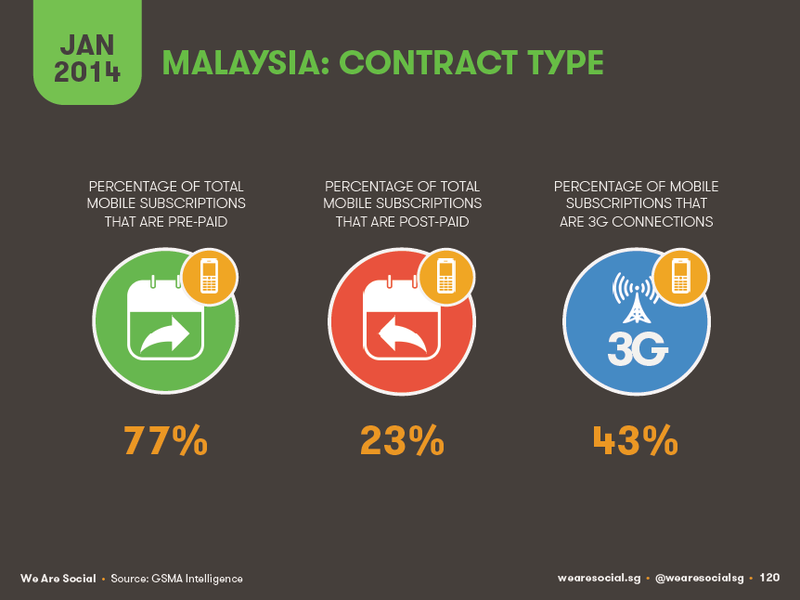 43% of mobile subscriptions are 3G connections. 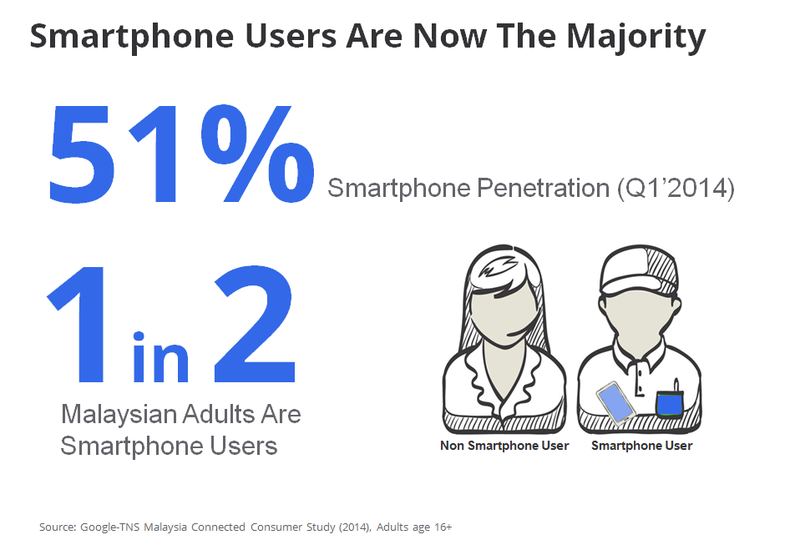 Statistics earlier this year indicate 35% smartphone penetration but now, every 1 in 2 adults in Malaysia are smartphone users according to Google's study. 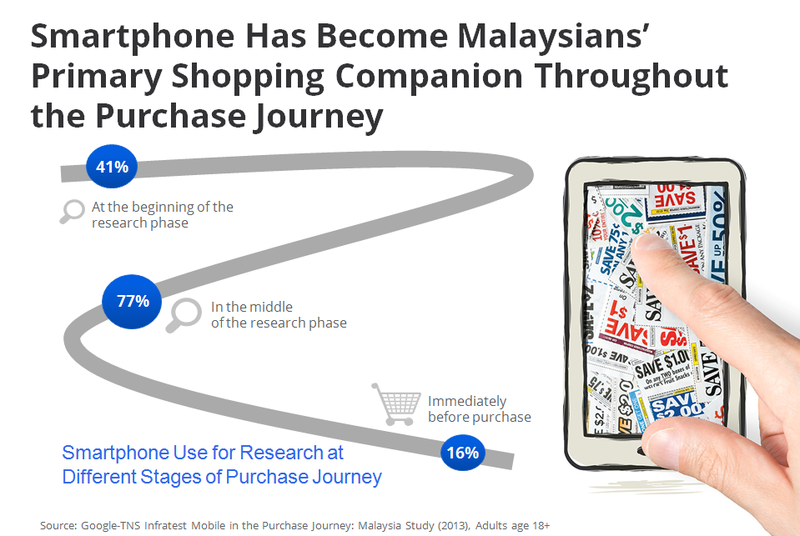 Prior to the purchase, 91% smartphone users are using their phone to research products. 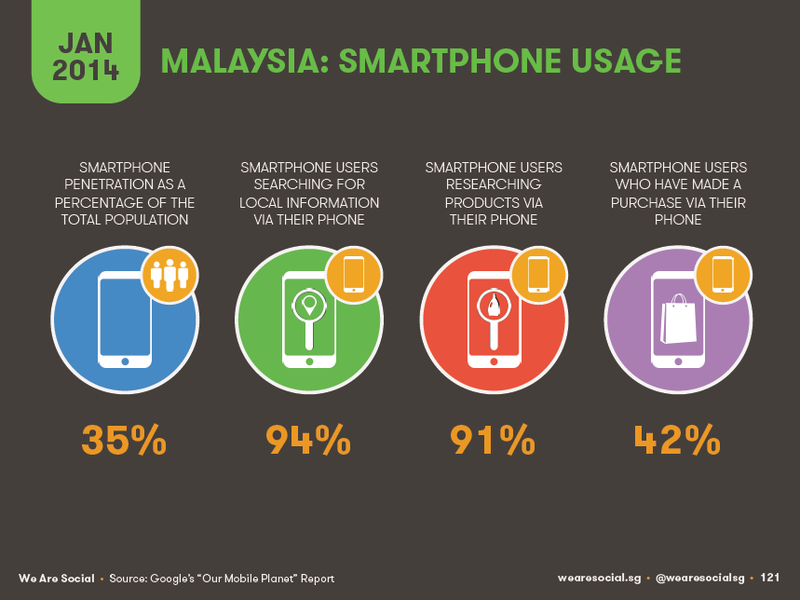 Google has provided a further breakdown on how smartphone is being used, with 77% used in the middle of the research phase, compared to the beginning (41%) and immediately before purchase (16%). 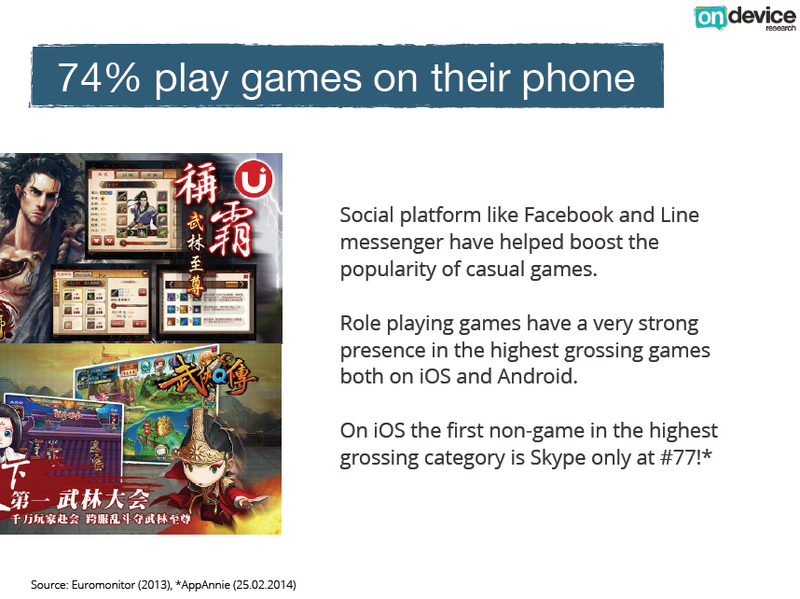 The casual gaming segment has certainly boosted by Facebook and recently LINE, with popular games like LINE POP, LINE PLAY, LINE Rangers, Disney Tsum Tsum etc. This group of people is what we call the pure "mobile only" group who are using only mobile rather than PC or tablet to access the Internet. 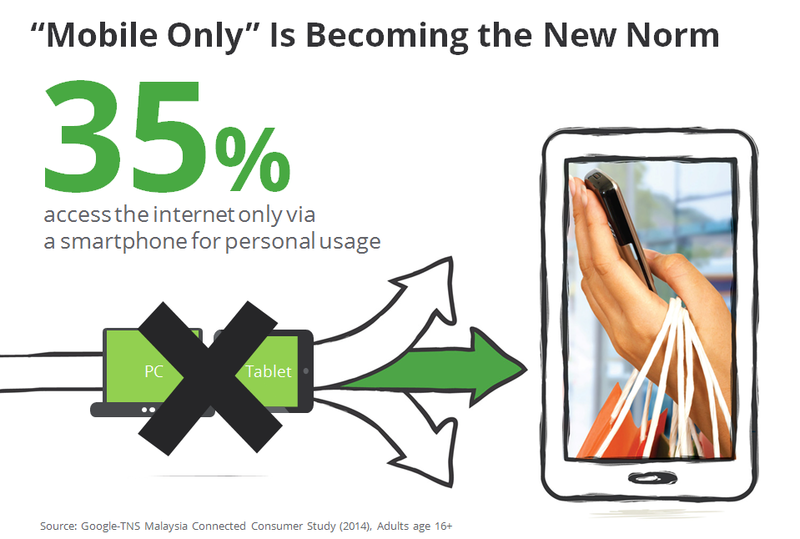 96% use their smartphone at home, 83% at work and 72% on the go. 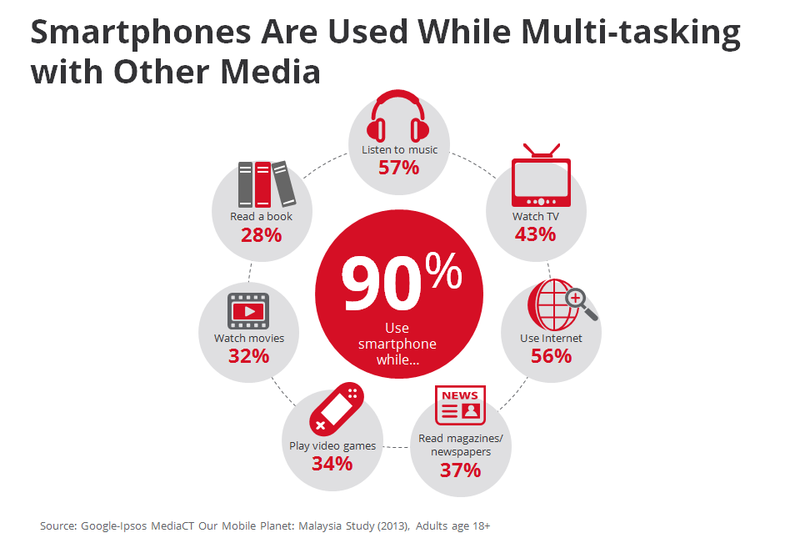 Since smartphone is mostly used at home, it is not surprising that smartphone is frequently used while watching TV (43%), just behind listening to music (57%) and using Internet (56%). That also means that 44% of the population are active social media users on mobile. 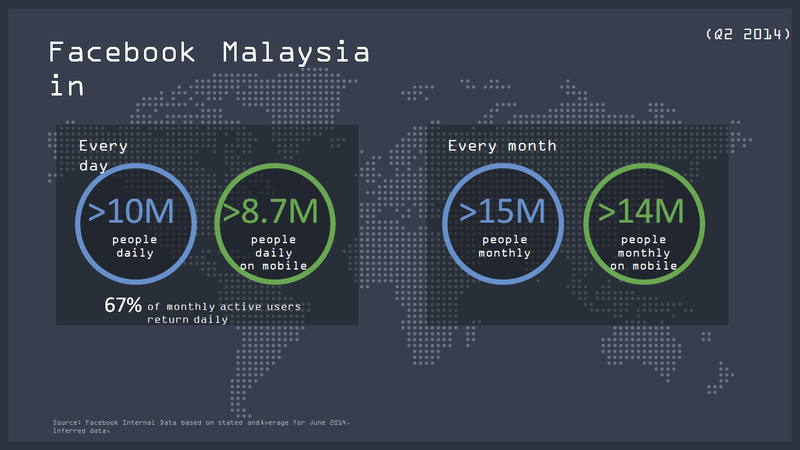 More than 8.7 million (out of 10 million) Malaysians are accessing Facebook via mobile on daily basis, while it is more than 14 million (out of 15 million) on monthly basis. 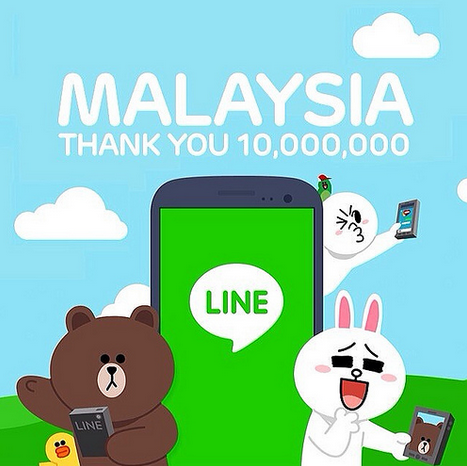 LINE has announced in April 2014 of reaching 10 million users in Malaysia, establishing itself as the top 3 mobile messaging app here with WhatsApp and WeChat.